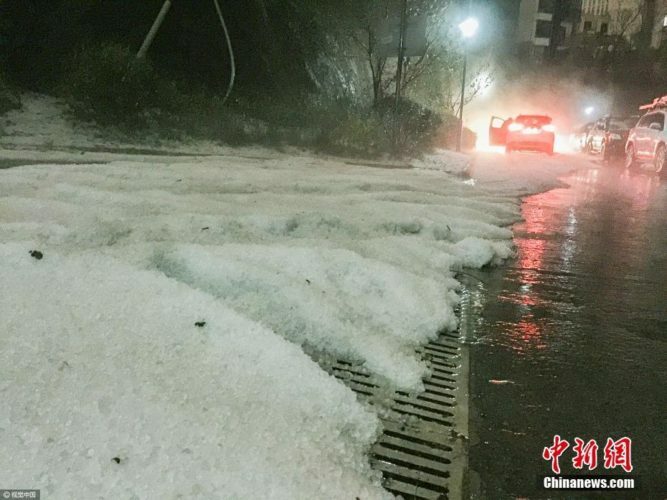 A ferocious hailstorm and heavy rain battered the city of Guiyang, causing scenes of chaos across the city on Wednesday night. 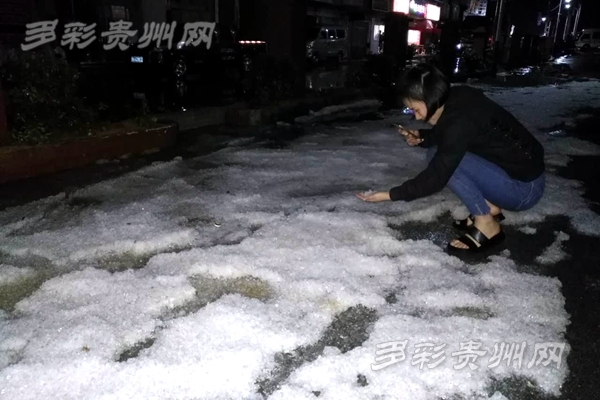 The dramatic hailstorm brought traffic to a standstill as huge hailstones pelted the city, with the largest having a diameter of 15 millimeters. 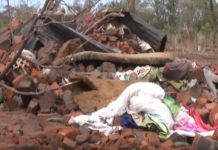 According to firefighting authorities, a total of 71 people were rescued overnight. 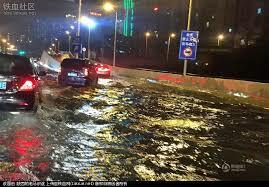 The downtown was seriously flooded by the deluge, with the precipitation level rising to 23 millimeters in an hour. 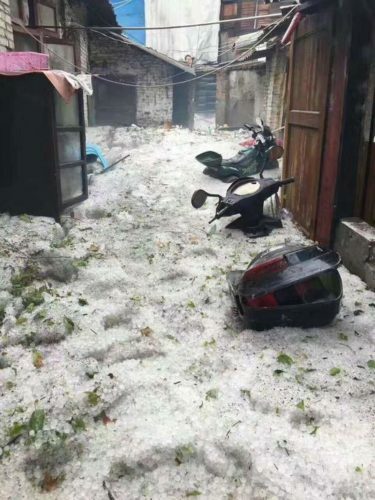 It was reported that two residents were trapped after hailstones accumulated up to their waists in the basement of a building. 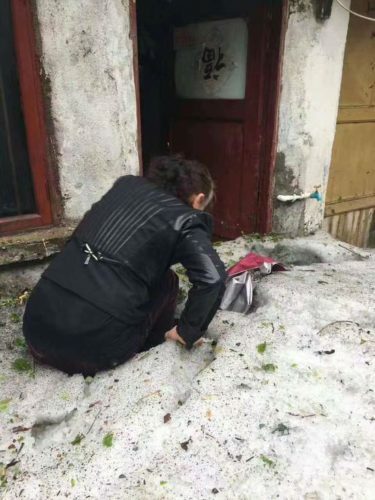 A firefighter jumped into the marble-sized hails and waded towards the trapped people, eventually helping them to safety. 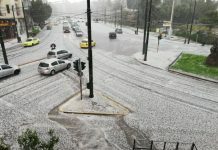 Police officers were mobilized to important intersections to direct the traffic amid the challenging weather conditions. 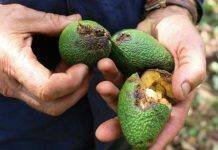 The sub-office has been working on the second-tier contingency plan. All police officers, no matter if off-duty or on-call, were ordered to get to work and control the traffic in this district. 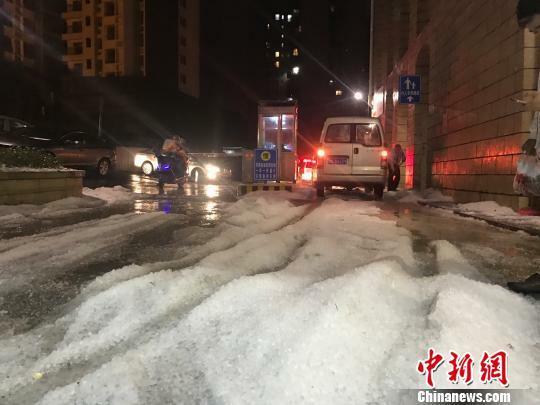 As well as police, firefighters, city management officers, and municipality administration workers were deployed to places where they were most needed to help drain water and ensure people’s safety. 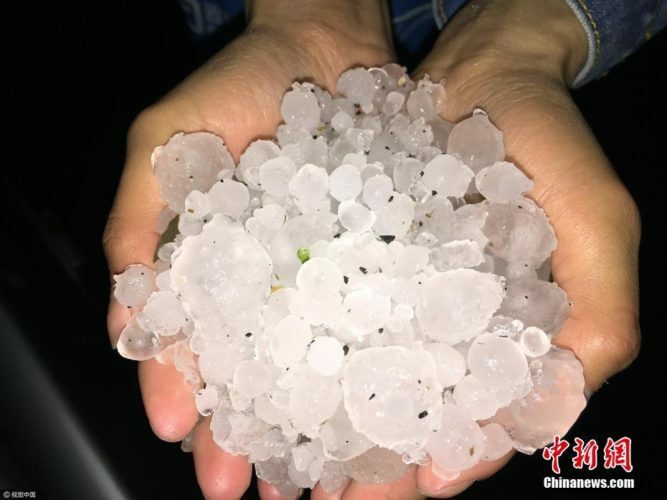 The apocalyptical hailstorm lasted 15 minutes. Traffic returned to normal after the water drained away at around 01:00 in the morning.